The Latest Batman Item You've Acquired? Re: The Latest Batman Item You've Acquired? Drat. I noticed yesterday that this copy is missing pages 197/198. The page has been roughly torn out by its previous owner! Any chance someone out there could send me a scan of the missing page, please? Thank you so much Keith Mayo, who sent me jpg scans of the missing pages. I was able to turn them into PDFs, print them back to back, trim two edges and glue the sheet into the right place. It's actually difficult to see that there was ever anything missing! I am soooo grateful for your help, both in informing me that the edition was out there, and then helping me repair the faulty copy the seller sent me. And a curse on the original owner, who seemingly has a b/w pic of Batman's electoral poster on their wall! Always glad to help a fellow Citizen! Nice photos. 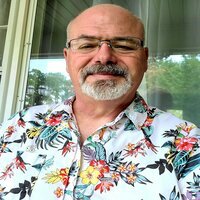 How are the Batmobile and Batcave books? Would you recommend them? I’m thinking of picking them up if I find a good deal. The Batcave Companion is a great read if you're a comics fan. 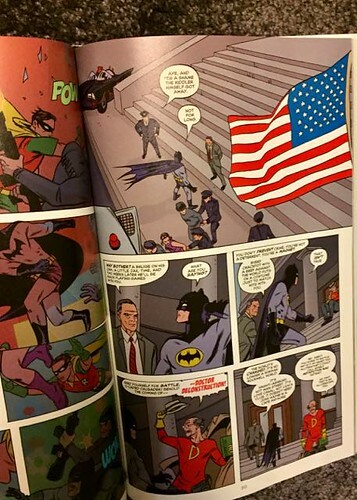 It is one of the most detailed books I've read on Batman comics in the 1960s and 1970s. 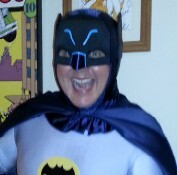 Keep in mind, my recommendation is based on the fact that I'm a huge fan of the Bronze Age Batman. The Batmobile book goes into great detail about every iteration of Batman's motor pool up through the Nolan trilogy and is chock full of photos. 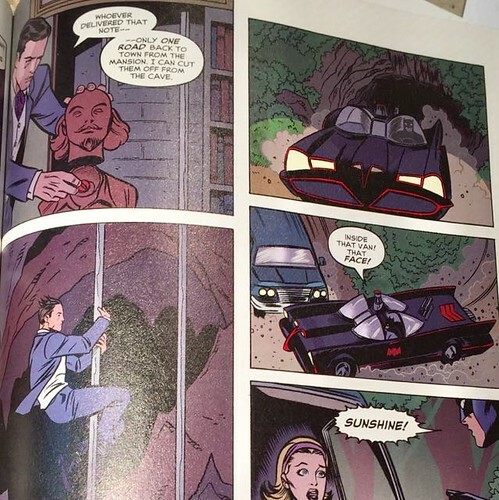 The Batcave Companion details the history of Batman in the comics but also has a couple of chapters on the Classic Tv Series. Both are HIGHLY recommended. Thanks. 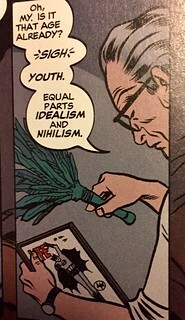 I’ll have to find a copy of the Batcave book as Bronze Age is my era. Was reading comics in the early to mid 70s. Thanks Keith for costing me money. I’ll have to find those books. I’d love to find a deal like you found. Just plugged the last hole in my Classic Tv Series Funko collection - Dallas Convention Exclusive metallic Joker. I noticed a recent mention of the 2004-2006 “Solo” series from DC Comics. The Michael Allred issue, with 60’s Wondergirl on the cover, dancing the Batusi, is definitely in my collection but away In storage. 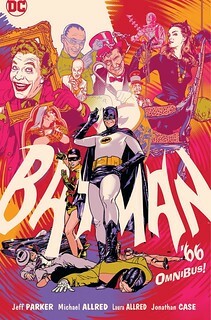 I had totally forgotten that the issue contains a “Batman ‘66” tale, “Batman a-Go-Go”! 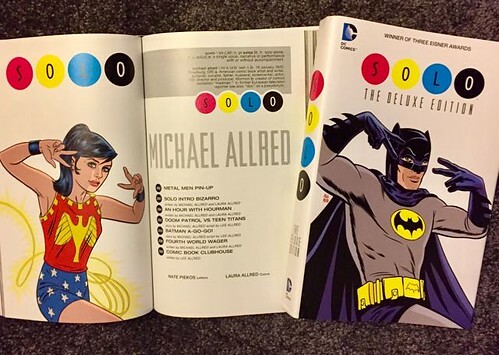 So I searched out the 2013 hardcover omnibus of the whole “Solo” maxi-series, which actually has two covers: one with modern Catwoman and the really cool one: with art originally intended for the Wondergirl issue, with the classic Adam West’s TV Batman performing the Batusi! (It wasn’t able to be cleared for rights when originally published as a single comic.) 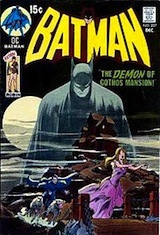 I was sure I had ordered the Batman cover via eBay, but suddenly the site was telling me it would be Catwoman arriving! 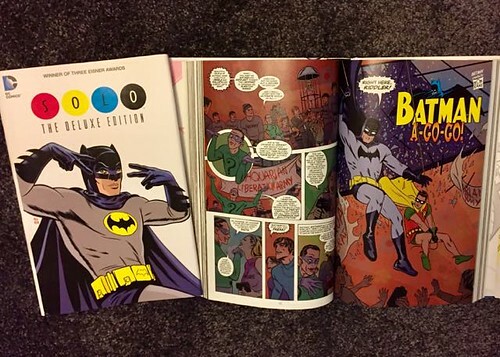 The book arrived this week - and it’s the Batusi version! Yay! I went searching on eBay. 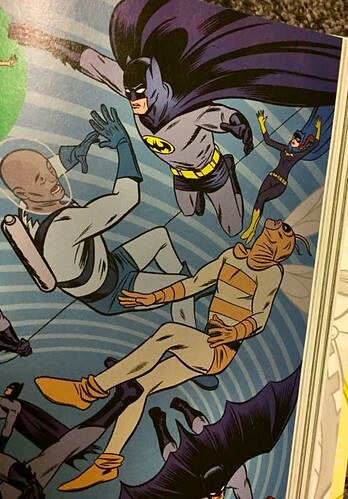 There are two versions of the "Solo" omnibus: one has a modern Catwoman and one has the Batman Batusi cover. The Catwoman one seems to be the common one. I ordered the Batusi cover, but suddenly the Catwoman cover was showing up in my purchases. 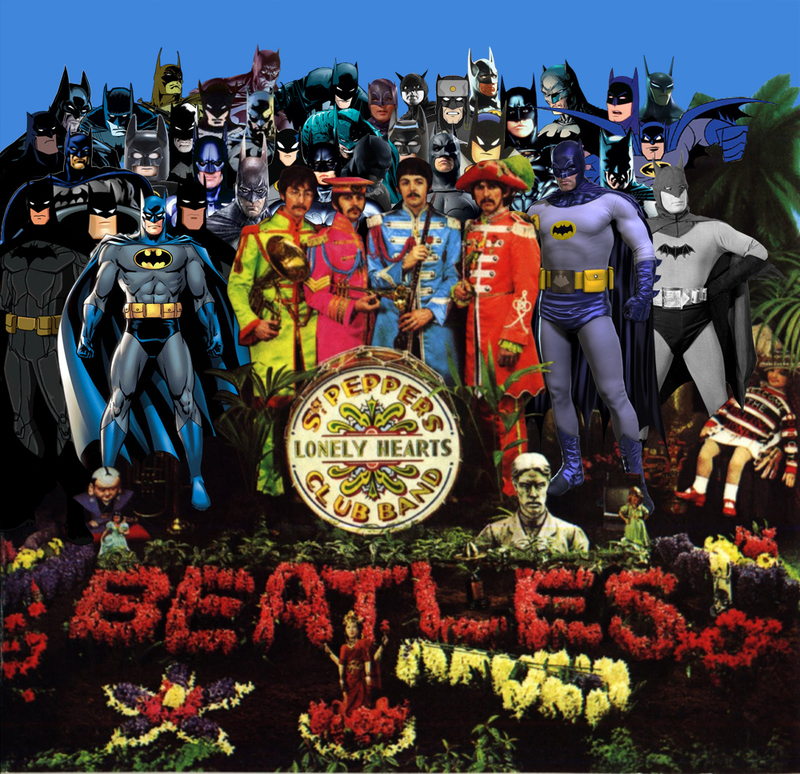 I was relieved when the Batusi cover arrived! I just realised I had a captioning error in my old post: Here’s the cameo appearance of Adam’s “Life” magazine cover in "Solo"! 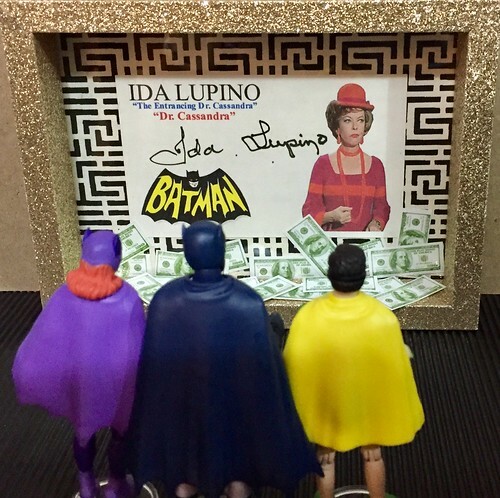 By the way, my authenticated autograph of Ida Lupino (“The Entrancing Dr Cassandra”), from "Batman '66", turned up this week, so I found her a glitter box frame! Sure beats matching him up with the Herocross Batmobile. Beautiful, but $399. Today's collection additions as produced by the uniformed Federal official at my door. 8" Sheldon arguing with 3.75" Sheldon about who has the worst head sculpt.